This is a peaceful time of preparing ourselves for Advent through making and creating together as a family. 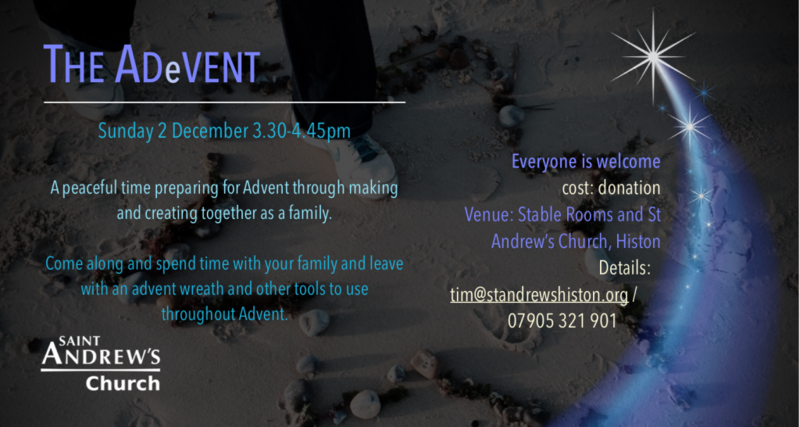 Come along and spend time with your family and leave with an advent wreath and other tools to use throughout Advent. We’ll begin in the church making a special booklet just for your family before making advent wreaths and visiting different prayerful and creative zones. There will be some competitive elements for the older children and some simple crafts for much younger children. We hope that there will be something for everyone in SJ Club and for Edge aged children too.